There is a question that people need to ask. Why can’t the Central Bank of PNG buy gold to curb smuggling and also build the reserves to stabilise the plummeting Kina? The mining sector accounts for about 9% of the GDP and the overall resources sector contributes about 26% of the GDP. This will continue to rise with the current demand for cobalt which as a by-product of the mix hydroxide precipitate from the Ramu Nickel. Currently, gold is stolen on a massive scale in PNG Mines. Gold production from mines is under-reported. This is a massive scam. For example – 20 million ounces were mined from the giant Porgera Gold Mine and bullions shipped off-shore by helicopter to Mt Hagen and by private jet to Perth almost every few days over the last two and a half decades. Who from the IRC, Customs, Treasury or the MRA checks the exact amount of gold that is shipped out? NO ONE – I MEAN NO ONE. That information is not enough. It is criminal to accept as gospel unverifiable sales records, especially for gold shipments. Then the Treasury department relies of this MRA record of sales to project future revenues and plug that into the budget. The same info is shared with the BoPNG and other agencies. For God’s heavenly grace – why can’t we have some of these fat lazy public servants at the point of exits like the helipad in Porgera to physically weigh, record and sign off on all gold shipments? Guess we caught the late bus. Tough luck now. 20 million ounces out the back door. The other mines like Lihir and Ramu Nickel are doing the same thing. The PNG government does not have people on the ground like what I used to see everywhere in Africa where I used to work. They are everywhere. They are everywhere because that’s where the money comes in from. It’s not rocket science. You don’t collect revenue for the government by sitting in air-conditioned offices and pray for God’s interventions? Get your fat bums out and get your smooth fingers dirty. So the bottom line is gold is stolen everywhere. It’s prevalent. Why on earth does the BoPNG even give licences for companies to export gold? “Bank of PNG should buy the gold instead and put the money there (in gold) instead of reserving the dollars alone. 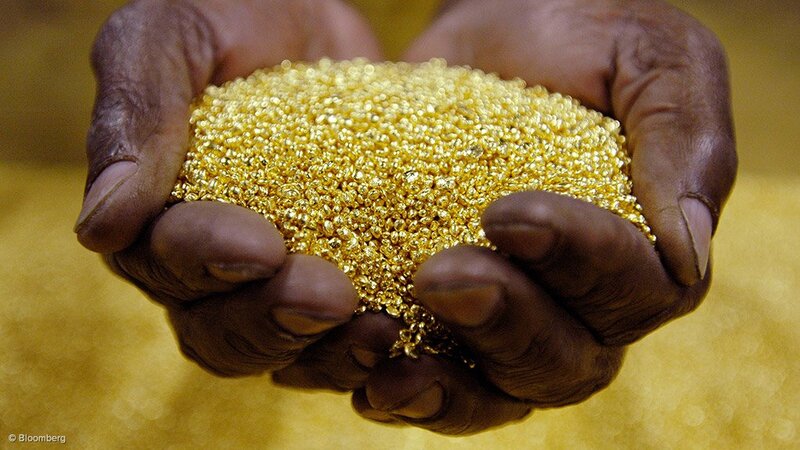 They should reserve dollars and gold together to stabilise the Kina starting with the artisanal gold market. As an example, the Tanzanian government has a prolonged spat with Barrick fully owned subsidiary Acacia over a $190 billion tax bill for its mining operations in the East African nation. Exactly the same thing they were doing in Porgera until the Government found out and back-calculated the tax owed to them. So what I’m saying here is doable if the PNG government is serious in recouping lost revenue. In 2017, that government passed laws to reform their mining sector that the industry complained would be costly and onerous. In PNG when such laws are proposed, the industry backed by the PNG Chamber of Mines bitterly contests because they want PNG to continue to become an impoverished nation. And this is strongly supported by PNG government agencies (you know who they are). But I tell you, one day, one friggin day this will change and the people of PNG will take back their resources and develop it with decent developers so that the benefits will trickle down right to the doorsteps of the people whose faint cries are always ignored by greedy people. Don’t mess with God’s people. One day they will rise and the stealing will cease. A small scale miner and local businessman, Joe Tomerop says Papua New Guinea will have a bright future, if the government sees the importance of alluvial mining. Tomerop, who has been in the business for five years, says small scale mining can rescue a country’s economy and foreign exchange. However, Tomerop says he still needs a license to operate as a first time local investor in this sector. Tomerop is building his own machines and plant to fulfil the Mineral Resource Authority’s requirement for investors to have their own equipment before applying for license. So far, he has spent over K800, 000 to locally build his own plant, as well as trying to acquire a license from the Mineral Resources Authority. 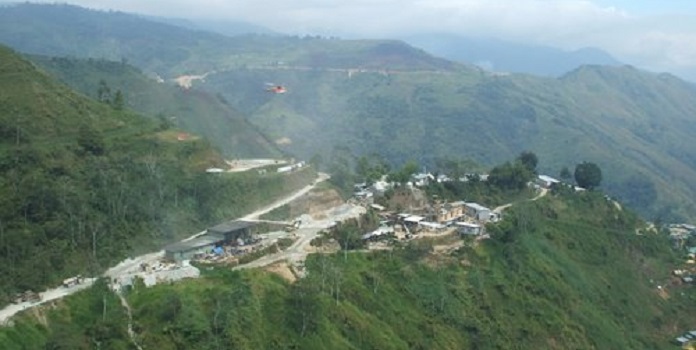 Tomerop’s village in the Kompiam electorate in Enga Province is situated on the beltline of resources such as gold and copper. 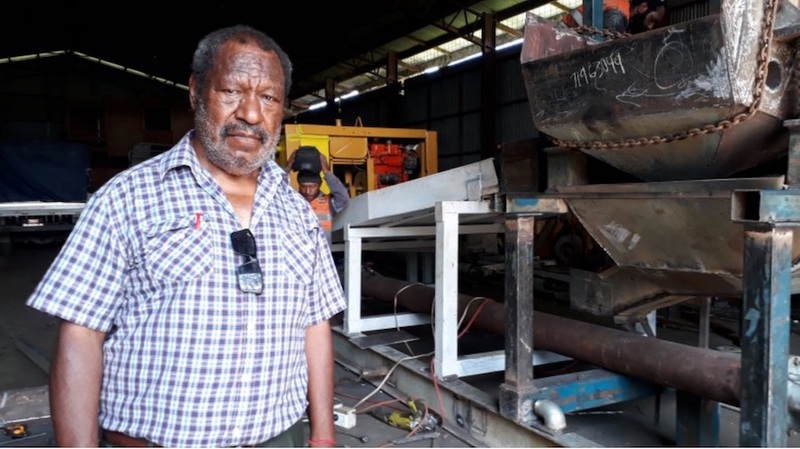 Tomerop says he wants to be one of the first Papua New Guineans to own a small scale mine, instead of working for expatriates. Joe Tomerop has been in business for over 30 years, and has only just started investing in small scale alluvial mining. In 2016, EMTV’s Resource PNG Program featured a story about an alluvial mining conference and tradeshow hosted by the Mineral Resource Authority in Goroka. The theme was “Mechanised Alluvial Mining” from which Tomerop also attended. Tomerop was not pleased that MRA did not tradeshow any mechanised equipment to small scale miners to learn from. This has forced him to build his own equipment to be able to get a license. A landowner group from Tomerop’s village has always wanted to mine gold illegally, but they said alluvial mining has the potential to bring in millions of kina. They are urging MRA to be fair in issuing licenses to expatriates as well as the locals. The Mineral Resources Authority has started ridding unauthorized semi mechanized or mechanized mining in the country. 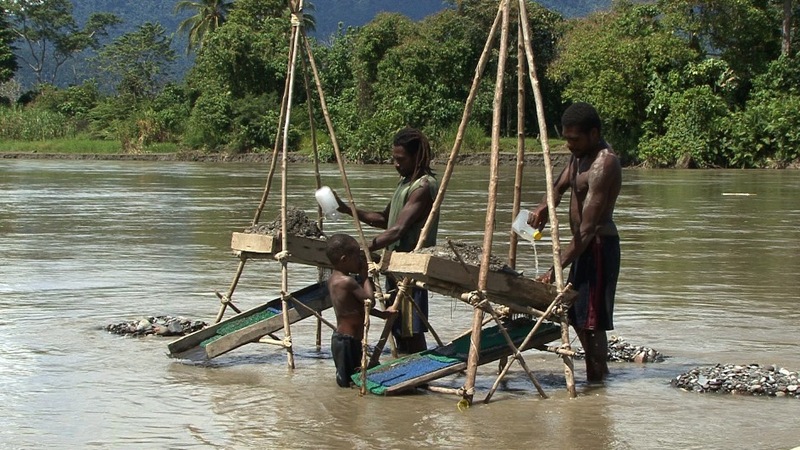 Unauthorized alluvial mining is predominant in the Wau and Bulolo areas of Morobe Province. Illegal alluvial miners face a fine of up to K10,000 or prison term of up to four years. Recently MRA issued 13 stop work notices to individuals engaged in the illegal activities in Wau and Bulolo. MRA stated such activities are not only illegal but pose substantial environmental and safety risks to miners themselves and the surrounding communities. MRA’s acting managing director Nathan Mosusu appealed to the miners to adhere to the regulatory requirements, which is part of MRA’s regulatory compliance responsibilities. Mr Mosusu said MRA has in the past demonstrated its openness and commitment to developing the alluvial sector in collaboration with miners, but it is the miners’ obligation to ensure they operate in compliance. “I am asking miners to work with MRA for the betterment of the sector. Together we can achieve results,” Mr Mosusu said. The Mining Act 1992, section 167 states – a person shall not carry on exploration or mining on any land unless he is duly authorised under this Act. 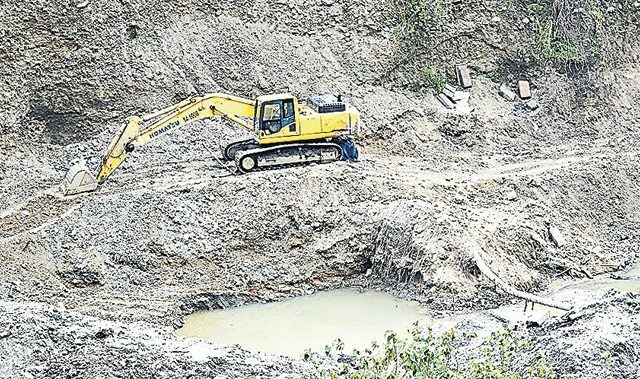 The MRA said the deaths of alluvial miners from cave-ins caused by unauthorised mining activities, and failures to adhere to safety requirements have become common. It said tunneling and sluicing as part of these unauthorised operations has damaged local roads especially between Wau and Bulolo. The Wau and Bulolo areas have a long history of alluvial mining that dates back to the 1920s. At present, there are 81 active alluvial mining tenements and 50 inactive historic tenements granted under the previous mining legislation. The 50 historic tenements are yet to be converted to alluvial leases recognised under the current Mining Act 1992. Once converted, the terms of these converted tenements would then ensure key safety and environmental aspects of mining operations are regulated appropriately. WORK on the Tolukuma-Bakoiudu Road has been delayed because funds allocated for the project cannot be accessed, according to the Mineral Resources Authority. “The K3.9 million earmarked for the 11.2km road is under the care of the Department of Finance as a result of the implementation of the Public Money Management and Regularisation Act 2017,” a statement from the authority said. It was responding to a query from the Tolukuma Landowner Association on why the road construction had not started despite the funds having been allocated. The contract for the road project was awarded by the Central Supplies and Tenders Board last November. The MRA then paid the contractor a mobilisation fee of K170,000 in December to start work in February this year. It also paid K200,000 to the Department of Works to supervise the project. Before more payments were made, the legislation came into force in April. Funds were frozen by the Department of Finance. “The implementation of the Public Money Management and Regularisation Act has affected not only this project but many other projects, even those funded by donor agencies such as the World Bank,” the statement said. The authority said it had on several occasions requested the Department of Finance to allow it to access the funds but to date had not received any response. Takeso Uson, the executive officer of the Tolukuma Landowner Association, said the tendering process was completed and K-Mele Construction had moved its machines to the project site. An expatriate who has been working with the Mineral Resources Authority is claimed to be leaking confidential data and information to mining companies. This was made known by Usino-Bundi MP Jimmy Uguro, who asked his series of questions to Mining Minister Johnson Tuke.  Is minister also aware that the same person was given the work permit while still working in the country? Mr Tuke said in the case of the MD and board chairman the MRA Act was only passed some months ago. “This has not been gazetted yet, however, once it is passed, the board will give me three names and I will put through the process,” he said. “For the third question I am not aware of information leaking out but I will look into it, for the fourth question, I am mindful and we have policies to go by if they are conducting themselves within the law, I have no issue with that but if he is conducting himself outside of the law, I will look into that. Major tertiary institutions in the country must be given the opportunity to involve facilitating trainings and safety regulation in the alluvial mining sector. Member for Bulolo and Minister for Information and Communications Technology and Energy Sam Basil made the call to the Mineral Resources Authority on Tuesday during day one of its 4th Alluvial Mining and Tradeshow convention held in Lae. “I want to encourage MRA involve our research and tertiary institutions including University of Papua New Guinea, PNG University of Technology and University of Natural Resource and Environment in our collaborative efforts in alluvial mining and the environmental impacts and safety,” said Mr Basil. Basil said these institutions are academically and professionally equipped with knowledge, expertise and innovations to expand the sector and in this partnership the country can make a difference in challenging times when resource scarcity and sustainability is concerned. He said the challenges of the alluvial mining observed from in Bulolo district is the safety aspects that needs to be more regulated when unsafe practices are becoming an increasing concern especially with miners using the underground mining techniques where they dig through tunnels. “This has resulted in numerous deaths over the years. This is because of the alluvial resource knowledge has always been a barrier in advancing the alluvial mining operations” said Mr Basil. Basil said it is a must that all concerned stakeholders join forces and embrace the new developments in this era of alluvial mining because the alluvial mining sector is owned by Papua New Guineans using downstream processing. He said MRA as the concerned regulator must strive in its efforts in maintaining safety practices within the alluvial mining communities. Basil added that environmental compliance is another issue that must be strictly regulated by the Conservation Environment Protection Authority (CEPA) however mentioned that CEPA are yet to be fully aware of what is happening within the alluvial mining sector. “I am aware of the financial requirements of the sector in supporting alluvial miners therefore as local MP for Bulolo we will be fully supporting our local miners through our district development authority” he said. Meanwhile, the minister also commended MRA’s initiative in the alluvial resource mapping programs currently taking place in Bulolo to build the resource inventory of the district.